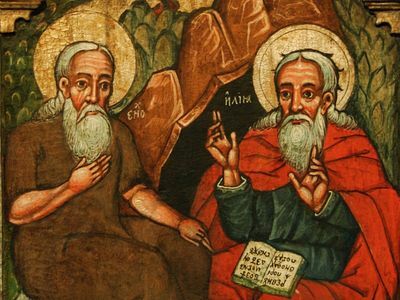 Who is the real Prophet Elias? He is a saint. He was the kind of prophet who could take a sword and stab 450 false prophets to death. 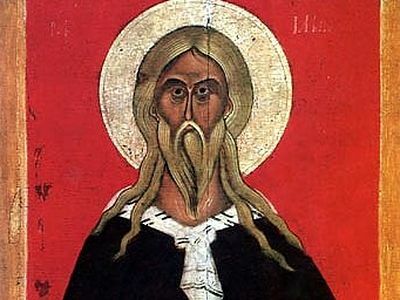 Though St. Elias is in Heaven, he never died. Though he is a righteous man of the Old Testament, he revealed new amazing truths about God to us. We will understand the achievements of St. Elias better if we put his life into a modern context. He lived almost 3,000 years ago. He lived in a society where the bulk of the population drifted away from their faith. Although they called themselves the Israelites, they led a purely pagan lifestyle. Various vices, magic, godlessness, cynicism, and injustices were the norm. Isn’t it quite similar to our modern reality? When iniquity absolutely prevailed, God punished the people of Israel with drought. So it did not rain for three and a half years, and the Almighty waited for His people to repent. However, there were no signs of repentance. Nor did the drought end. How do we know about the humility of the poor widow? Let us look at the very first words that she uttered: As the Lord thy God liveth, I have not a cake, but an handful of meal in a barrel, and a little oil in a cruse: and, behold, I am gathering two sticks, that I may go in and dress it for me and my son, that we may eat it, and die (3 Kings 17:12). She said, “The Lord thy God liveth.” The woman believed in the true God and confessed Him as the Lord, the Creator of earth and Heaven. She recognized the prophet at once and therefore didn’t even ask him who he was. 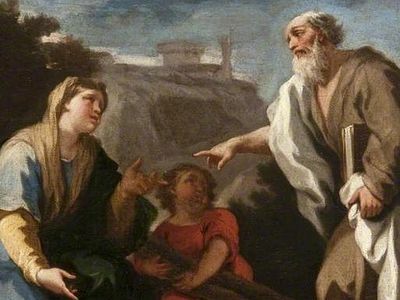 Besides, she humbly put herself outside the “true worshippers of God” and the people of Israel, emphasizing this by the word “thy.” And when St. Elias assured the widow that her supply of meal and oil would not run out during the remainder of the drought, she immediately obeyed him instead of arguing or doubting. In truth she was the “Samaritan woman of the Old Testament” and deserves respect. Meanwhile, the drought was raging for the fourth year. The famine was so severe that even the king had nothing to feed and water his herds with. Thus the impious and idolatrous King Ahab resolved to look for new pastures and water sources for his horses. At that time he was informed that the Prophet Elias wanted to see him. The Bible says: Ahab went to meet Elijah (3 Kings 18:16). Truly the chronicler was sparing with words! Though we do know that the Bible often mentions facts very briefly. To my mind, there is much more behind this brief statement of fact. How can a king “go,” “walk” alone? Both from other Biblical texts and our own life we know that kings and other rulers don’t go alone—they are usually surrounded by their retinues, sword-bearers, and guards. So the verse from the Bible cited above is nothing but a metaphor. It would be logical to assume that King Ahab “went” to meet Elias together with his retinue. Let us try and imagine that event, especially how it would have happened today. A motorcade with flashing lights is moving at a high speed, with police motorcycles at the head and from the rear, and an armored limousine with tinted windows in the middle. A silhouette of St. Elias appears in the middle of the road, and the procession stops! Do you know any modern spiritual leaders who can stop a presidential motorcade by their presence today? Not necessarily patriarchs, but any individuals of spiritual authority. Sadly, I don’t know such people. Ahab gets out of the limousine and asks St. Elias: Art thou he that troubleth Israel? (3 Kings 18:17). Meanwhile the bodyguards, who are wearing coats and ties, are looking at the prophet with spite and fear. I have not troubled Israel; but thou, and thy father's house, in that ye have forsaken the commandments of the Lord, and thou hast followed Baalim (3 Kings 18:18), St. Elias answers. Are there any rulers of our days to whom these words cannot be applied? Unfortunately, I cannot think of such rulers today. I believe that when the prophet was saying these words his eyes were like a flame of fire, and his face was radiant like the face of Moses, for his zeal for God kindled a fire in his heart. Then St. Elias offered a test to King Ahab: He (Elias) wanted to meet with 450 worshippers of Baal on Mt. Carmel. Each of them was to offer a sacrifice to his god, and the god who answered with fire from the sky would be considered the true God. And thus 450 idol-worshippers and enemies of the Lord gathered to oppose St. Elias. From morning to late night these false prophets prayed to their deities, read their mantras, and cut themselves with knives (as all of them were possessed). In all probability some of them were professional sorcerers (after all, not all are tricksters!) and summoned demons that assisted them. Undoubtedly they were able to perform all sorts of “miracles” through the power of satan. But now, in the presence of the Divine power, the demons, robbed of their strength, moved away and nothing happened. St. Elias stood to the side and mocked the “prophets of Baal” that were leaping around their altars: Cry aloud: for he is a god; either he is talking, or he is pursuing, or he is in a journey, or peradventure he sleepeth, and must be awaked (3 Kings 18:27). Oh the Jewish people with their feeble faith! So many times you exclaimed these words then betrayed your Lord the next second! You did it at Mt. Sinai, when you saw that Moses had tarried on the top, and you were not long in casting a new idol. You did it after the division of the united Israelite kingdom into two kingdoms of Israel and Judah, when King Jeroboam of Israel set up two gold statues of calves in order to distract his subjects from the Temple of Jerusalem. And the Hebrews were not indignant at being diverted from God the Almighty to demon-worship; they carried out neither an uprising nor a revolution; rather, they coolly changed their object of worship. It made no difference to them! At the same time, they had the authentic teaching of angels and demons and knew the truth about “gods of silver and gold.” They had little faith in this teaching. This is precisely what happened when Christ the Savior came to earth too. Once the people saw the miracle of the fire from Heaven and the long-awaited rain as an answer to the prayer of St. Elias, the impious Queen Jezebel threatened to put him to death in retaliation for the killing of the 450 prophets of Baal. But neither King Ahab (who had wept after observing the above-mentioned miracles) nor the people (who had seen the holiness of St. Elias) stood up for the holy prophet. Fire descended from Heaven upon the prophet’s sacrifice! Observing the descent of the Holy Fire at the Church of the Holy Sepulcher in Jerusalem on Great and Holy Saturday would suffice to have at least some idea of what this may have looked like. We can easily imagine the rapture, the fear of God, and the awe from everybody. 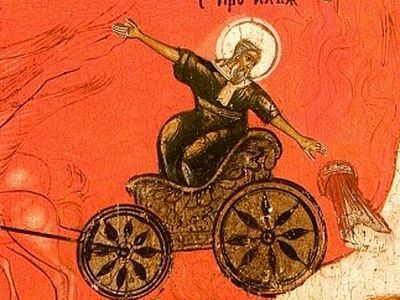 Awe-struck and filled with zeal for God, St. Elias ran ahead of Ahab’s chariot from Mt. Carmel until they reached the city of Jezreel (cf. 1 Kings 18:46), where the king had a residence (over eighteen miles away). As for Jezebel who was an idolatress, she didn’t come to her senses after seeing the miracle, so St. Elias fled for his life to Beer Sheba in Judah to escape her anger. In the wilderness near Beer Sheba, an angel of God appeared to St. Elias to console him in his time of distress. The saint said, addressing the Lord, It is enough; now, O Lord, take away my life; for I am not better than my fathers (3 Kings 19:4). How often we call unto God, like the Prophet Elias in times of ordeal! “I have no more strength to endure these trials!” we cry out, and immediately the Savior “pats us on the back” and “spoon-feeds” us to comfort our restless souls… Perhaps that is the most remarkable moment in the story of St. Elias. On the one hand, we see that St. Elias is a model of piety and righteousness; but, on the other hand, we see that he is not a superman. He was like any of us in the sense that he needed food and drink (and food was sent to him directly from God). It hurt him that his fellow countrymen had wallowed in idolatry (and God Himself consoled him). These words are filled with God’s love and compassion not only for St. Elias, but also for the entire human race, restless and dying as it is. Several thousand years earlier, the Creator had asked Adam with the same affection and pain: Where art thou? (Gen. 3:9). And some 1,000 years later He asked St. Mary Magdalene the same: Woman, why weepest thou? whom seekest thou? (Jn. 20:15); and He later asked Peter: Simon, son of Jonas, lovest thou Me more than these? (Jn. 21:15). And St. Elias said, I have been very jealous for the Lord God of hosts: for the children of Israel have forsaken Thy covenant, thrown down Thine altars, and slain Thy prophets with the sword; and I, even I only, am left; and they seek my life, to take it away (3 Kings 19:10). This is precisely what we often say nowadays: “O Lord, look, Your children have abandoned Your churches, they have been languishing in vices and debauchery, they are greedy for gain and seek only pleasures, bending the knee to demons in sects!” And, like the apostles, we want to exclaim: Lord, wilt Thou that we command fire to come down from heaven, and consume them (Lk. 9:54). And we will certainly hear the meek answer: Ye know not what manner of spirit ye are of. For the Son of man is not come to destroy men's lives, but to save them (Lk. 9:55-56). 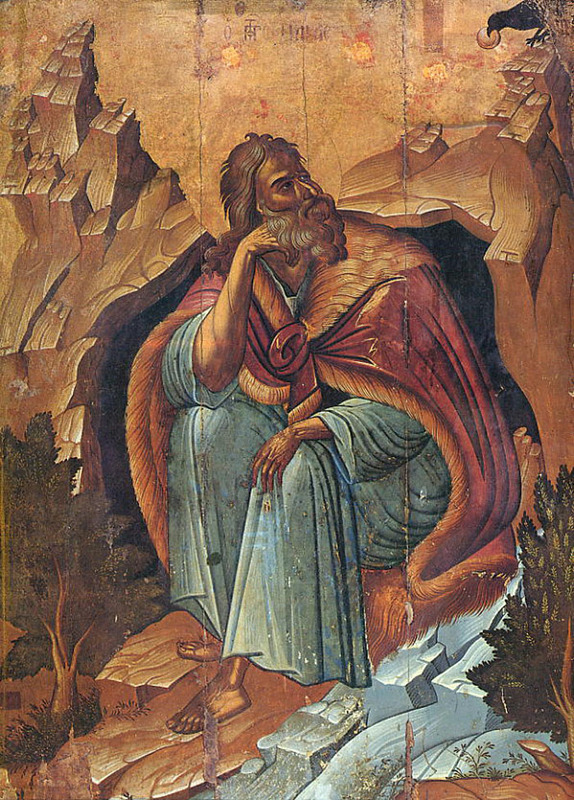 The Lord answered the same to St. Elias. Go forth, and stand upon the mount before the Lord. And, behold, the Lord passed by, and a great and strong wind rent the mountains, and brake in pieces the rocks before the Lord; but the Lord was not in the wind: and after the wind an earthquake; but the Lord was not in the earthquake: And after the earthquake a fire; but the Lord was not in the fire: and after the fire a still small voice (3 Kings 19:11-12). Here we see a manifestation of Divine love. It is one of the few places of the Old Testament where the Lord shows His humility, which is far beyond our comprehension—a humility that descends not only to the cross, but also to hell for mankind’s sake. Before the incarnation of the Son of God people had known God as the Judge, the Avenger, a jealous God, visiting the iniquity of the fathers upon the children unto the third and fourth generation of them that hate Him (Exod. 20:5). The moral state of the Hebrews was such that only fear of punishment could hold them from committing sins, albeit this did not always stop the faithless and perverse generation (Mt. 17:17). There are only a few places of the Old Testament where God reveals the true glory of His Divine love. This perhaps the only place of the Old Testament where He demonstrates the greatness of His humility as well. Thereby, the Lord says to us, “You have witnessed My power tearing the mountains apart and breaking rocks into pieces, yet this is not My Face; you have undergone the most horrid punishments, yet it is not My nature; you have seen My fiery rage, yet My essence is not in this. But when you contemplate My love and humility, then verily it is Me.” The Prophet Elias was the first to experience “the still small voice” of the spirit of Divine love. The holy prophet who served God with the utmost fervor was taken by a chariot of fire by a whirlwind into Heaven where he still resides in his natural body, having never died. According to tradition, before the second coming of Jesus Christ to earth the Prophet Elias and St. Enoch (see Gen. 5:24) will be sent to our world to preach repentance to mankind which will have entirely abandoned Divine worship. 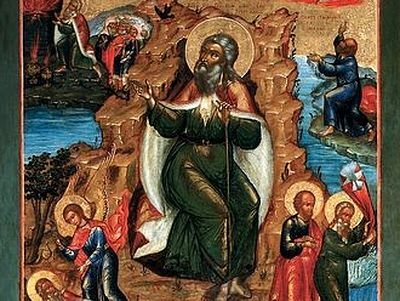 What lessons can we learn from the life of St. Elias? In our mind’s eye we are standing next to the prophet and it seems as if we are standing by a “tower” or a “mountain” of spirit. How can we imitate him? How can an ant imitate an elephant? An ant can lift a straw. The prophet’s faith is like a “skyscraper,” while our faith is like a “wretched hovel.” But even in a shanty we can receive an abundance of spiritual blessings. True, we are unable to call down fire from Heaven, yet we can strike a match, bake a cake and feed a prophet as the widow from Sarepta did. God spoke with the prophet face to face, but we communicate with Him in our hearts as well. So let us imitate the fervency of St. Elias. Let our short prayer rule and our modest ministry be imbued with the spirit of zeal. Let us bear in mind these words of our Savior: I am come to send fire on the earth; and what will I, if it be already kindled! (Lk. 12:49). This fire is the Divine zeal that induces us to overcome our laziness, neglect, pride, and all other things that stand between us and Christ. And may the Lord help us scorch all the impediments caused by our enemy, our foe, by this Divine fire. Amen. Dcn. 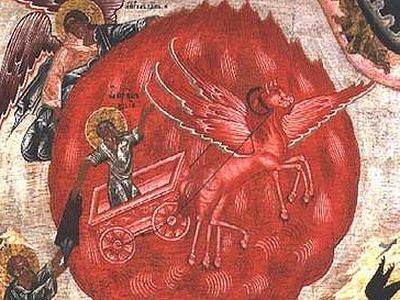 Peter Mikhalev Did Enoch and Elijah (Elias) Ascend into Heaven? The prayers of St. Elias were indeed powerful in their effects for several reasons. First, Elias was a holy man who remained faithful to God in defiance of King Ahab who ordered the Israelites to worship Baal. His faith was so great that the prophet never doubted God's ability or willingness to answer his prayers. What do the Gospel Words, "And if ye will receive it, this is Elias, which was for to come" (Mt. 11:14) Mean? Hieromonk Job (Gumerov) What do the Gospel Words, "And if ye will receive it, this is Elias, which was for to come" (Mt. 11:14) Mean?